Scientists have discovered teeth at a German excavation site that would indicate early humans got to Europe millions of years earlier than thought. Scientists have just found out something that could totally upend our understand of early humankind, and when we migrated out of Africa. At the Eppelsheim excavation site in Germany, researchers discovered fossilized teeth last year, and a new study indicates that they are 9.7 million years old. That’s a huge find because the popular notion in the scientific community is that early human ancestors didn’t migrate out of Africa until 200,000 to 400,000 years ago, and didn’t start spreading across the world until around 60,000 years ago. But this find suggests that early human ancestors were in Europe millions of years earlier than that. 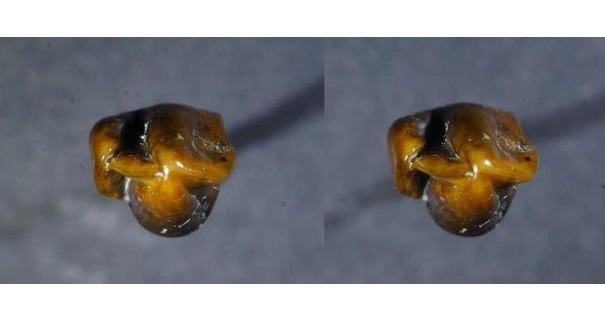 Scientists examined an upper left canine and upper right first molar in great shape, and both show clear signs of being from a hominin. If the find is confirmed as being that old and belonging to an ancient human, scientists will have to go back to the drawing board when it comes to understanding our early history. “I don’t want to over-dramatize it, but I would hypothesize that we shall have to start rewriting the history of mankind after today,” Mainz mayor Michael Ebling said during a press conference announcing the new find.